BIOPRO is Arizona's only properly insured, licensed, trained and experienced (biohazard) crime scene cleaning company. 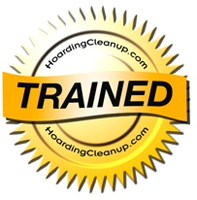 We are one of the leading experts on biohazard clean up in the United States. Biohazard remediation (crime scenes, suicides, homicides, accidents, infectious diseases, bed bugs, hoarding, etc.) is all we do. Haz-mat, restoration, janitorial, carpet cleaners, maid services, franchise restoration companies and franchise janitorial companies use biohazard cleaning as a job filler, that's correct they use your tragedy as a filler to keep their employees busy. One concern is you don't get the personalized service you need during your time of need. What you get is someone who has little, if any experience in dealing with the physical scene let alone your emotional tragedy. As a professional who has been doing this for 26 years I can tell you it takes at least 10 years of continuous biohazard experience to understand how a scene should be properly rectified. Many times BIOPRO is called in to finish a cleanup that was not done properly the first time, costing the home owner additional money. Many insurance companies keep a list of "preferred remediation companies". For example once a company gets on this list for "fire or water" remediation they are on the list for many types of insurance services. The remediation company lets their insurance contact know they are now providing "biohazard cleanup' and the company starts getting insurance referrals. The insurance company has no idea what type of training, experience, or skill level the contractor has regarding biohazard remediation, nor do they care. Insurance companies may recommend a contractor, but don't be confused by you agent or adjuster, you have the right to use the company of your choice! Companies confuse you by stating that they have been in the biohazard business for many years. What they don't mention is that they were doing water remediation for twenty years, but biohazard for only six months. Other companies claim their employees have extensive years of biohazard experience when in fact they have experience as police officers, firefighters, nurses, etc. These companies' also combine the experience of employees giving you the impression the company has an extensive biohazard history. Truth is they have one month of actual crime scene cleanup experience! I was a firefighter for over twenty-five years that does not make me an expert in biohazard cleaning. Another problem is the so called national biohazard companies. There is no national company. There is one company that responds crews to multiple states. A national company has office locations in every state. No biohazard company has this coverage. One particular company also charges ten to twenty times what BIOPRO charges. You could be responsible for charges ranging from $10,000 to $50,000 for a simple biohazard remediation. They tell you your insurance will cover their costs; this is not always the outcome. This company has many high profile individuals and nonprofit's recommending them. Why? By providing huge referral fees, high profile giveaways and raffles to police agencies along with large donations to nonprofit associations. That's why a $1,000 cleanup costs you $10,000.Check with the Better Business Bureau, get the facts! Other so called national companies use 800 numbers, fancy websites and blogs to draw you in. These sites are no more than referral services charging 10% - 30% extra because you called them first. A few individuals own dozens of referral sites and blogs. Phone numbers are different but the owners are the same. These referral companies have only talked with or emailed companies on their referral list. These referral companies have no idea if they are sending a legal, insured or qualified company. Some of these companies have employees and owners with criminal backgrounds, some extensive! Whenever you see a website and there is no address (PO Boxes are the same as no address) these individuals are running out of their homes or apartments. Can you imagine living next door to someone who brings potentially infectious biohazard waste or waste that has a highly offensive odor back to their house? Check out the biohazard company and make sure they are legitimately licensed, see when they were incorporated. Most of the time they have been in business less than six months and had no training. Most times they are not even a legal entity (company). Taking an OSHA Blood borne Pathogen class is a requirement, but a one hour class does not make you an expert. Be cautious about those claiming to be certified biohazard technicians, certified by whom? Certified BIOPRO technicians receive at least two hundred hours of training. BIOPRO trains its technicians following the guidelines and training criteria of the American Bio-Recovery Association (ABRA), the only professional biohazard association. Don't be traumatized twice, call BIOPRO in your time of need! This is not the time to become someone's training session! Haz-Mat, Maid Services, Flood, Mold and Janitorial Companies use this as filler to keep employees busy. Commercial business location. Few of these companies have a business location. Most have no address or P.O. Box, why - they operate from their house or apartment. Goggle their address, see where it leads. Training Provide an average of 200 hours of hands on or classroom training. Average of one hour of OSHA training. Most have no training or took an online or DVD training course. Professionally marked commercial vehicles. Unmarked personal vehicles. $1,000,000 / $2,000,000 Limits Few have Commercial Insurance; almost none have Pollution Coverage; which is the only coverage for biohazard remediation. Appearance Uniforms and name tags. Normally street clothes. Random drug testing. Some company owners and workers have extensive criminal records and arrests. Did you know some workers actually find it exciting to be at the scene! Equipment Extensive inventory of equipment. Minimal or no equipment. BBB Ethics Award (only biohazard company in the world to win this award). Received two Berg Awards (international) for excellence & professionalism in the biohazard industry None. License & Permits Fully licensed and permitted in Arizona. Few are fully licensed or have the proper permits. A few companies have changed their names after the legal system or media investigated them. Some companies use multiple names and numbers to confuse you. Because a company belongs to a cleaning or restoration association doesn't qualify them. Many associations don't know or understand what is required to perform biohazard services. Pay your membership fee - join the association. We belong to many associations we know. Many companies overcharge families in their time of need, having them sign open-ended contracts that sometimes cost families their homes and bankruptcy. Don't be traumatized twice.